The map below shows Alphington ward and the neighbouring Cowick Ward. 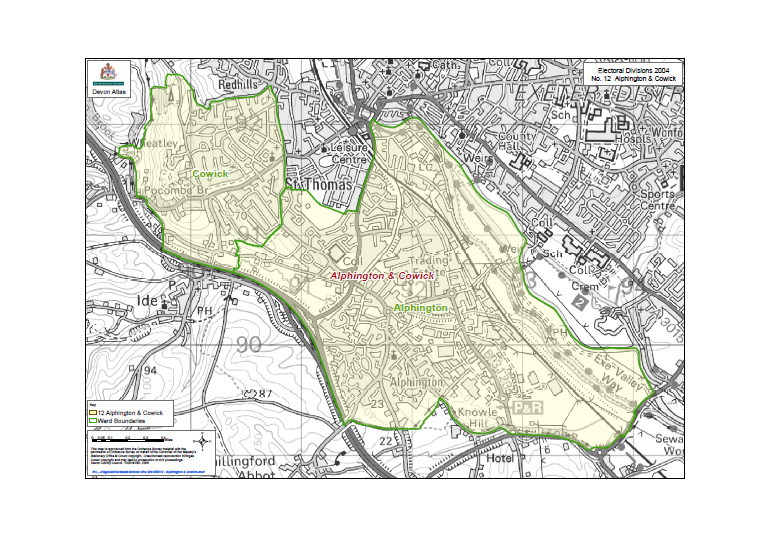 The original intention of Alphington Forum was to include the whole of the area of Alphington Ward. However most of the issues tackled in the forum at present relate to Alphington Village from Alphington spur road (Alphington Cross) to the southern boundary, and accordingly the forum has been renamed Alphington Village Forum. The Marsh Barton area has its own business forum. Alphington Forum is only open to residents, not businesses. Some of the residents also have businesses in Marsh Barton, and there will be an exchange of views. Residents of Alphington ward who are not within the village are however welcome to register with Alphington Village Forum.